This chair is as much about the process as it is the final product. 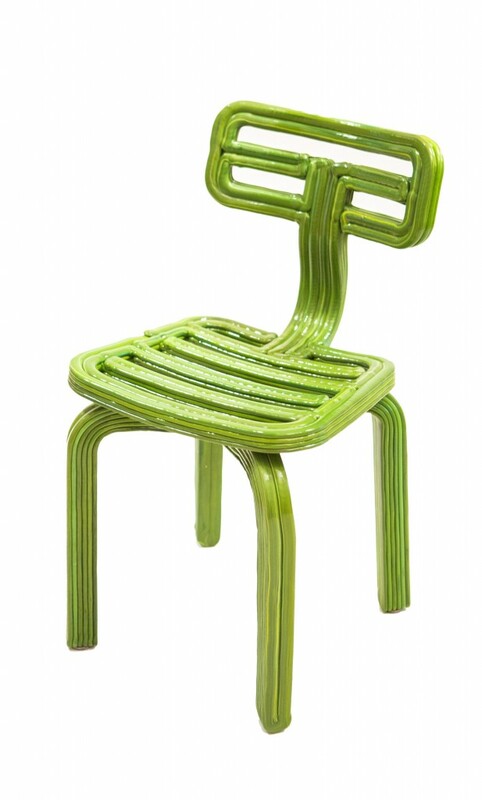 Dirk Vander Kooij designed a built the machine to 3D print this chair using a repurposed factory robot. The machine extrudes hot plastic (like paint from a tube) to build the chair. It uses plastic from recycled refrigerators. Dirk Vander Kooij (Dutch, born 1983) graduated from the Design Academy Eindhoven in 2010. 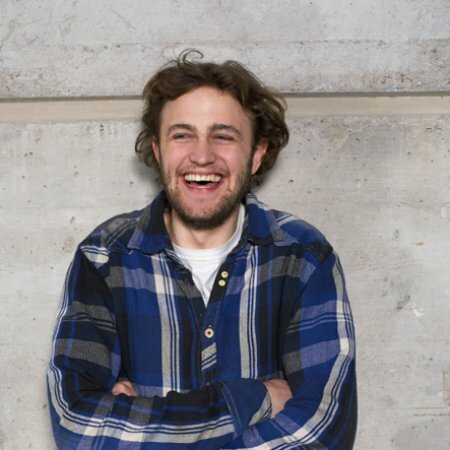 His thesis project addressed the limitations of 3D printing for large-scale objects. Vander Kooij developed his own printing technique using a robot that extrudes recycled plastic. He created the Endless Chair using this process, gaining him worldwide attention. The chair was acquired by the Museum of Modern Art in New York, the Stedelijk Museum in Amsterdam, and the Vitra Design Museum in Germany. In 2011, he was awarded a prestigious Dutch Design Award. In 2013 Vander Kooij exhibited at the International Contemporary Furniture Fair where he was given the Editors Award for New Designer.